Gay Trekking in Everest Base Camp is dream for every Gay man.Being at Basecamp of Everest with gay friend is lifetime dream for all of the gay trip makers.Everest Basecamp Trek is one of the popular trek for all the trekkers from all over the world.Trekking in life will not be complete without being part to Everest Baseamp Trek.Being in Everest Basecamp is for Life time Experience. Gay Trekkers from all over the world know that the world's most awe inspiring and iconic mountain trail trekking is that to the Everest Base Camp trekking.Everest Basecamp Trek takes you to the yards of world famous climbers Sherpas village, the culture of colorful prayer flags and Buddhism, the quaint Namche Bazzar, the Sagarmatha National Park, the mightiest view point-Kala Patthar, Everest Base Camp itself and close to four of the world's six tallest peaks Mount Everest, Lhotse, Makalu, and Cho-Oyu.Those mountains rise above everything else. 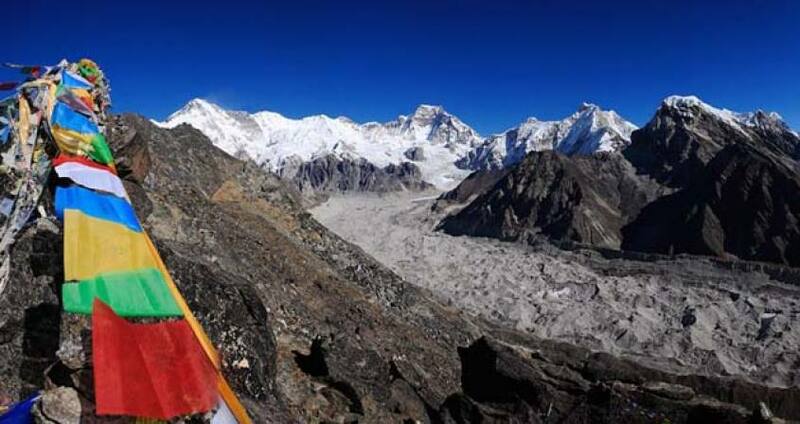 It is well accepted that the Everest Base Camp trek is the grandest walk in the land of the Himalayas. Everest Base Camp trekking with Pink Mountain Treks and Expedition begins with an inspiring mountain flight to Tenzing-Hillary Airport at Lukla from Kathmandu domestic airport and starting the trek up through the Sagarmatha National Park all the way through the colorful landscapes.You take steep ascent to Namche Bazaar, the capital of Sherpas, where we are greeted by spectacular mountain vistas. We enjoy the Sherpa village, its culture and monasteries, the mountaineers and wild life museums, during one rest day which also aid in acclimatization as the altitude begins to "rise". While we pass through the verdant alpine forest and wildlife, raging glacial rivers and waterfalls, stony trails, mountains, and Buddhist monasteries, Everest along with other mighty mountains get closer day by day. We continue to follow the trail to a famous vantage point, Kala Patthar, where a marvelous 360-degree panorama awaits. After achieving our target of Everest Base Camp, we trek back down to Lukla for a return flight to Kathmandu. Day 02:Kathmandu - Lukla - Phakding (2,652m/8,700ft): 3-4 hrs. Often the Kathmandu-Lukla-Kathmandu flight gets delayed by a few hours or may even be canceled for one, two, or more days due to unfavorable weather conditions. Such conditions may arise even in the best seasons. Hence, in such cases, you must be prepared for long waits both at Kathmandu or Lukla airports, as this can happen either at the start or end of the trek or even both! We do our utmost to avoid such delays, and fix you on next flight. Still, we suggest you to be prepared for possible delays/cancellation, and if possible to come with some extra buffer days (1-2 days) at the end of the trip to accommodate such delays. Pink Mountain Treks and Expedition also organize heli rescue in such conditions, if it's available and upon request by our clients. If everything runs smoothly and if interested, you can also enjoy other activities like sightseeing, rafting, wildlife activities, shopping, etc during your buffer days. Day 1Arrival in Kathmandu and trip preparation - 1,300m/4,264 ft After your arrival at Kathmandu International airport you will be greeted by a representative from Pink Mountain Treks and Expedition and you will be then transferred to Hotel . After check in, you will visit PMTE office, meet your trekking guide as well as other participants and do final preparation for the trip. Later in the evening we will organize a "Welcome Dinner" at an excellent traditional Nepalese Restaurant where you will enjoy a Nepalese cultural program along with a fine meal. Day 2Kathmandu - Lukla - Phakding (2,652m/8,700ft): 3-4 hrs. After breakfast, you get transferred to the domestic terminal of Kathmandu airport for an early morning flight to Lukla (2,800m/9,186ft), a gateway destination from where Everest basecamp Trek starts. After an adventurous 40 minute flight above breathtaking green and white mountains, we reach the Tenzing-Hillary Airport at Lukla. This is one of the most beautiful air routes in the world culminating in a dramatic landing on a hillside surrounded by high mountains peaks. Here you meet Pink Mountain Treks and Expedition's other crew members and after some packing and arrangements, we start our trek through the prosperous village of Lukla until we reach Phakding. To assist in acclimatization, we only have a short hike today. However, if interested in additional activities we can take a side trip to a nearby monastery. Overnight in Phakding. Day 3Phakding - Namche Bazaar (3440 m/11,280 ft): 5-6 hrs Walking through a beautiful pine forest, the track leads us along the Dudh Koshi River through many suspension bridges, one of which is the famous Hillary Suspension Bridge. First, we catch wonderful prospect of the glistening Mt. Thamserku (6618 m). Through the settlement of Benkar, Chumoa, Monjo, we come to the check post and entrance to Sagarmatha National Park. We pass through the last village of Jorsale before reaching Namche Bazaar. The trail climbs through the forests and bridges until we reach the confluence of the Dudh Koshi and Bhote Koshi rivers. After a final steep ascent of about two hours we get first sight of Mt. Everest peering over the Lhotse-Nuptse ridge. We stop at Chautara to admire the view. We still need to hike about 1.5 hours to reach Namche Bazaar, a gateway to Mt. Everest and main trading centre of this region. stay overnight in Namche Bazaar. Day 4Acclimatization Day - Namche Bazaar: 3,440m/11,284ft This is the scheduled 'acclimatization' day for this trek. Health experts always recommend us to stay active and moving during the rest day too instead of being idle. We either spend the day taking a day hike to Thame or visiting Khunde or relaxing and exploring Namche Bazaar itself. Namche Bazzar is the main centre of the Everest (Khumbu) region and has government offices, ATMs, Internet cafes, shops, restaurants, a bakery and a colorful market each Friday evening and Saturday. If we trek a few hundred vertical feet during the day, it will help us to properly acclimatize. Our guides will take us to the Tourist Visitor Center near the headquarter of the Sagarmatha National Park where we can observe an assortment of things related to the first Everest ascenders, Sherpa culture and learn about the various plant and animal life of the Everest region. We also take an interesting side trip up to Khumjung. We climb up to the famous airstrip at Syangboche. Just above the airstrip is the Everest View Hotel, a Japanese scheme to build a deluxe hotel with great views of the highest mountains on Earth. The Khumjung valley is surrounded by the snowy peaks of Kongde and Thamserku and the sacred peak Khumbila, hosts a well known monastery that houses a yeti scalp. We also visit Hillary School which is at the same site. After having lunch and spending some time in Khumjung, we walk back down to Namche Bazzar. Overnight in Namche Bazaar. Day 5Namche Bazzar to Tengboche (3,870m/12,694ft) - 5 to 6 hrs walk After breakfast in Namche, we start our trek towards Tengboche enjoying superb view of Mt. Everest, Nuptse, Lhotse, Ama Dablam and close up view of Thamserku. 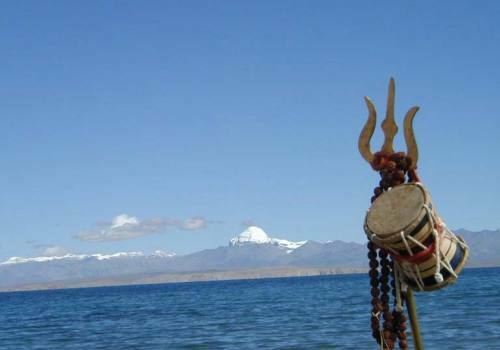 Our trek follows on the gradual trail with few ups and downs overlooking magnificent view of the great Himalaya. Along the way we can spot wild lives like pheasant, musk deer, or a herd of Himalayan Thar. The trail goes gradually down up to Kayangjuma. The path eventually reaches Sansa which is the major trail junction to Gokyo valley and Everest Base Camp. The track then follows through the pine forests and after we cross the prayer flags festooned bridge over Dudh Koshi River, we reach Phunki Thenga, a small settlement with a couple of teahouses and a small army post amidst the alpine woods. After having a relaxed lunch at Phunki Thenga we then have a little tough climb steep up through the pine forests while before we reach Tengboche. Tengboche is a great place for close up views of Ama-Dablam, Nuptse, and Everest and it has a biggest Buddhist Monastery all over in Khumbu region. We visit the monastery the same day at around 3 p.m. to witness the ceremony in the principal and popular monastery of Everest region. Over night stay at lodge in Tengboche. Day 6Tengboche to Dingboche (4,360 m/14,300 ft): 5 to 6 hrs Mountains as a backdrop, the monastery in Tengboche looks spectacular more in the morning. We snap pictures of the monastery and the sceneries around and as usual start the day journey. We choose the upper trail for better views to visit Pangboche village and its ancient Monastery. We pass through several Chortens and Mani walls and small villages. We enjoy lunch with fantastic close-up views of Ama-Dablam. In the afternoon, go north to Pheriche or take the eastward trail beneath the towering north face of Ama Dablam. From here onwards the walk is fairly moderate as we enter the Imja Valley. The valley ahead will begin to open up as we approach the confluence of the Lobuche River, we descend into the river and begin the last and steepest climb of the day up to Dingboche On arrival in Dingboche, we enjoy the beautiful array of fields enclosed by stone walls to protect the barley, buckwheat and potatoes from the cold winds and grazing animals. Overnight in Dingboche. Day 7Dingboche - Duglha (4,600 m/15,090 ft): 3 to 4 hrs We start the day with a climb to Duglha through the Khumbu Khola valley. The trek along the arid terrace is awarding with awesome views of mountains on all sides. As we come to a yak herder's place called Dusa, the valley begins to narrow and we continue through Phulung Karpo, of the camp sites during first successful Everest Expedition in 1953. Above Phulung Karpo is Chola Lake. As we continue our trek the majestic view of Mt. Pumori (7138 m/ 23418 ft) comes into view. As the trail descends and curves Mt. Pumori hides and we come across a roaring stream. After crossing a small wooden bridge, we ascend to Dugla. We can see the tip of Nuptse from here as well as Cholatse, Thamserku, and several other magnificent peaks. Spending a night in Duglha is ideal for acclimatization purposes. Overnight in Duglha. Day 8Duglha - Lobuche (4940 m/16,207 ft): 2 to 4 hour trek Beyond Duglha we trek up the steep terminal moraine of the Khumbu Glacier. We find our way through the boulder-strewn slope as we ascend Chupki Lhara, an eerie ridge top with dramatic mountains views. At the top of the ridge we will find an array of stones with prayer flags used as memorials to Scott Fischer (American mountaineer) and 10 times Everest submitter Babu Chiri Sherpa (mountain guide from Nepal) who perished on a mission to climb Everest. As the trail drops to the Khumbu Glacier moraine, we find ourselves right "in front of" several great peaks - Khumbutse, Lingtren, Pumori and Mahalangur Himal. We are now in the vicinity of Everest but the great mountain still remains hidden. Nuptse towers to the right as the trail crosses the Khumbu Glacier. As we trek along a murmuring stream we do not see the Khumbu glacier because of its lateral moraine wall and we now begin to feel a little out of breath due to high altitude. Overnight in Lobuche. Day 9Lobuche - Gorak Shep [5170 m/16,961ft] - Everest Base Camp [5364 m/17,594 ft] / Kala Patthar (5545 m/18,192 ft) - Gorak Shep: 8-9 hrs The trail to Gorak Shep goes ahead through the lateral moraine of the Khumbu Glacier. We pass though the pyramid sign post. Ahead on the trail we see crest of north ridge of Everest along with Mt. Pumori, Mahalangur, Lingtern, Khumbutse, Nuptse, etc. A small ascent would take us to Thangma Riju from where we perceive 360 degree vista of snowy mountains. Climbing steeply up to the top through the torrent of Changri glacier, we catch our first glimpse of Kala Patthar, a grey-green knoll beneath the Mt. Pumori. As we reach Gorak Shep, we will be surrounded by snow-capped mountains looming all around us including the top of the world - Mount Everest. After a brief lunch and rest, we take the trail to Everest Base Camp through the once vast Gorak Shep Lake. Continuing straight ahead, we come through the Indian army mountaineers' memorials. As we reach Everest Base Camp we cannot stop ourselves from appreciating the Everest climbers those take the hazardous route through the Khumbu icefall. Mountaineer's tents stand out in bright colors against all the dull gray surroundings (especially in the Spring). Nuptse, Khumbuste and Pumori are the mountains we can view from base camp. Everest actually is not visible from here. By now we have met the ultimate objective of our trip. However, the sunset view from Kala Patthar is more admirable than the sunrise view, so it is suggested to visit Kala Patthar today during sunset. As the setting sun's rays strike the snow capped mountains the resulting scenery is indescribable. For those trekkers who wish to continue to Kala Patthar, our guides and Sherpas coordinate your hike to Kala Patthar for amazing sunset view today rather than waiting until the next day. Overnight in Gorak Shep at a local lodge. Day 10Gorak Shep - Kala Patthar / Everest Base Camp - Pheriche [4280 m/14,070 ft]: 8-9 hrs Today is the climax of our trip. We start early in the morning to catch the dramatic views from Kala Patthar witnessing the first light of day shining on Mount Everest. However, we need to get prepared for an early morning, dark and cold temperature (-10 to -14 C) departure beforehand. Plus there is always the potential for chilly winds which are quite common. Familiar peaks such as Lingtren, Khumbutse, Changtse tower to the east even as Everest begins to reveal itself emerging between the west shoulder crest and Nuptse. During the ascent to Kala Patthar we can pause to catch our breath at several outstanding view points to snap pictures. After several hours of an ascent, we reach Kala Patthar. From here we scramble to climb the rocky outcrop near to the summit marked by cairns and prayer flags. As we reach the top, we sit on the Kala Patthar rocks our eyes taking in the unbelievable Himalayan Panorama, wandering from one mighty massif to another. We take as many pictures as we can with our camera and take the in view with our mind's eye to last lifetime. On being back to Gorak Shep, we have breakfast and wait other participants to return back. Those participants who will visit Everest base camp today will have early breakfast to start early as Everest base camp hike takes longer time (4-5 hrs) than the Kala Patthar hike. Upon return back to Gorak Shep, the group will have lunch together; and afternoon time is taken to descend down to Pheriche for a good night's rest. Day 11Pheriche-Pangboche-Tengboche-Namche Bazzar (3,440 m/11,280 ft): 5-6 hrs We will trek down through the hillside blanketed by rhododendron and juniper trees. If it's spring, pink and red rhododendron flowers ablaze our surroundings. Depending on our hunger and condition, we either have our lunch in Pangboche or wait until we reach Phunki Tenga for lunch. After crossing the prayer flag festooned bridge over the Dudh Koshi River trail then follows the Dudh Koshi gorge descending rapidly through the pine forests. The path eventually reaches Sansa which is the major trail junction in the region. We stop at Kyangjuma (3570 m/11,710 ft) for a relaxed lunch. We unknowingly appreciate the gorgeous Ama Dablam, Thamserku and Nuptse with every bite. Following lunch, the trail to Namche Bazaar clings to the steep wooded slope beyond Kyangjuma, winding through several bends. We keep a lookout for wild life such as mountain goats, snow leopards, colorful pheasants, etc., while we pass through the forest by the trail. After passing a Chorten, we reach the army camp at of Namche Bazaar. We want to take a long last look (and picture!) back to Lhotse, the tip of Everest and Tengboche from here. On reaching our lodge, we take a nice hot shower and have very relaxed sleep in our room in Namche Bazaar. Overnight in Namche Bazaar. Day 12Namche Bazaar-Lukla (2,800m/9,186ft): 6-8 hrs The trail descends steeply downward so we need to walk slowly and under control as our shaky legs continuously battle the rocky terrain. After crossing the suspension bridges over the fast flowing Dudh Koshi and its tributaries the trail becomes more level and natural. By today we start to get warmed up by the light breeze. Any remaining sore throats and colds will be gone by today as we pass through this charming mountain air. Although we are travelling the same route down, we feel completely different views. We snap a mixture of open plains, rhododendron and pine forests, and in the distance snow covered peaks. We walk through the Sherpa villages' noticing impressive faith in Buddhism and culture of prayer stones and prayers flag while we walk through the villages. On arrival in Lukla, we stretch those sore legs and recall the experiences of the last couple of weeks. We experience the culmination of a fantastic trek on a happy note with everyone back safe and sound with smile on their faces! Overnight in Lukla. Day 13Lukla - Kathmandu We fly back to Kathmandu after our long mountain journey. The early morning flight drops us at Kathmandu. You can rest and relax throughout the day in your hotel. If get interested to take some gifts home from Nepal for friends and relatives, visit to some nearby shops or venture out in Thamel for typical Nepalese goods which can be assisted by our guides or you can do it yourself too. If you want to explore any other areas of Kathmandu take the time to do that today! Remember, Pink Mountain Treks and Expedition will be hosting a fantastic celebration dinner together for successfully completing your trek to Everest Base Camp Trek! Overnight in Kathmandu. Day 14Farewell Friend This is the day that You are saying good bye to the mountains as your journey in Nepal comes to an end today! There is nothing to do but trade emails with your travel companions and organize your photos. If you have more time you can do some shopping or sightseeing. Approximately 3 hours before your scheduled flight a representative from Pink Mountain Treks and Expedition will take you to the airport. On your way home you'll have plenty of time to plan your next adventure in the wonderful country of Nepal. We Thanks to you for making your Everest basecamp Trek with Pink Mountain Treks and Expedition.